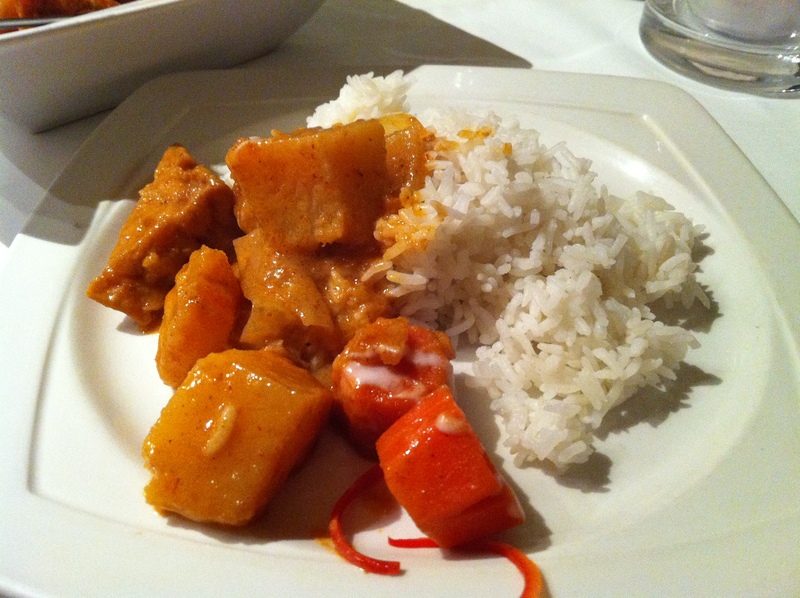 Thai Square in Trafalgar Square – Food That Makes You Smile! This is the most incredible restaurant I have been to since moving to London. Don’t get me wrong, I generally loved all the places I have eaten at, but this place was just something else! I went to Thai Square with a few of my friends just before Christmas, so we all opted for their Thai Vegetarian Christmas Menu. The price wasn’t exactly cheap, but when you go to this place and experience the amazing food and service – you don’t even care! 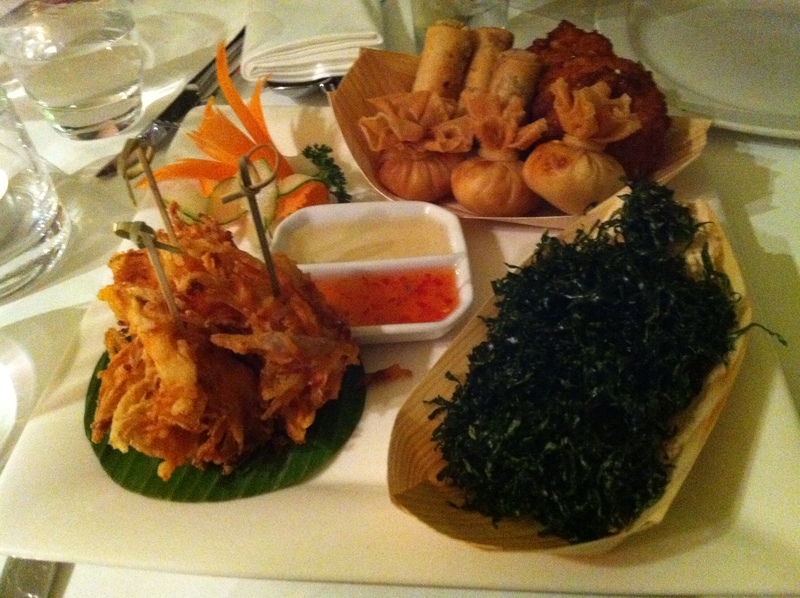 The shared starter platter consisted of Vegetable Spring Rolls, Corn Fritters, Vegetable Golden Sack, Vegetable Tempura and Crispy Seaweed. 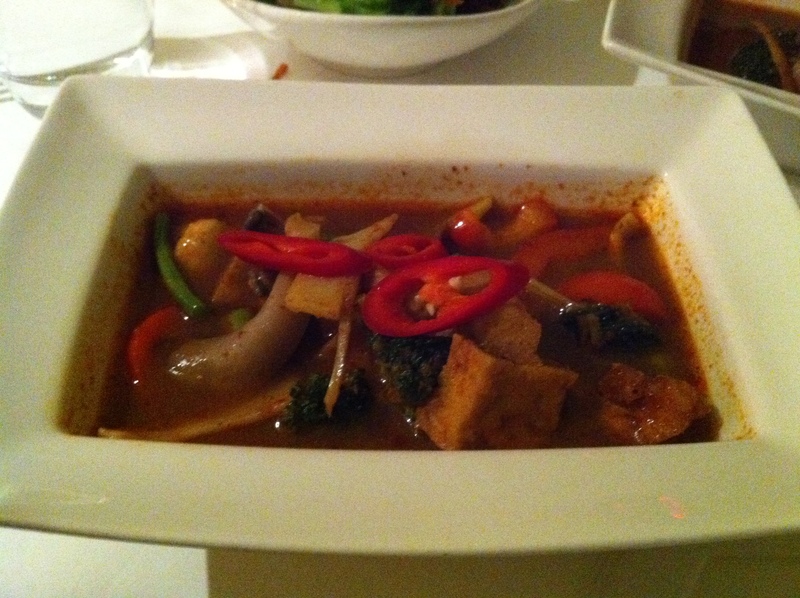 Vegetarian Jungle Curry. Oh my Goodness, this nearly killed me! Those who know me, know that I can take my spices. But this had a warning of 3 chillies next to it on the menu, which I laughed off. Until it hit my tongue and it felt like someone has set my mouth on fire! One of my other friends also ordered the same thing, and we both looked at each other with streaming noses… nice! 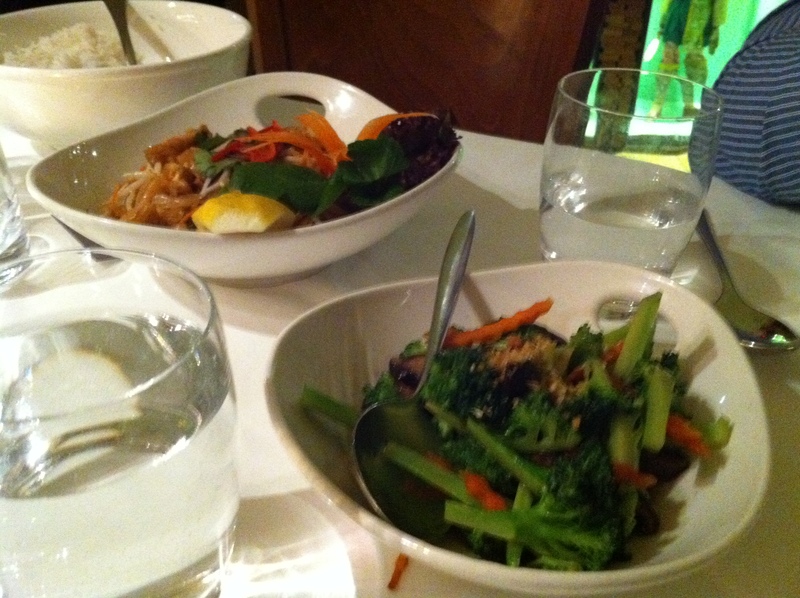 The Accompaniments with the meal consisted of a Broccoli and Shitake Salad, Pad Thai & Steamed Thai Fragrant Rice. All very yummy, especially the dressing on the Broccoli Salad. My friend ordered the Vegetarian Mussamun Curry, which I wish I had ordered in the end due to the chilliness of the Jungle Curry, but the whole meal was still DELICIOUS! The décor of the place was really nice and classy. The service was prompt and efficient. The food tasted incredible. What more can you ask for? Go and check it out! I know they have other branches dotted around London, so I can’t speak for all of the other restaurants, but this one was great. Ok, I’m very hungry right now!